All of the cast members from Season 11 of Real Housewives of Atlanta were in attendance for Eva Marcille and Michael Sterling’s wedding. This most likely means that it was filmed for the show, so get excited for that. Of course, most of the ladies uploaded photos from the big day. Well, they all did except for Eva, who is probably waiting to get those professionally edited pics back from the photographer for an exclusive article instead of sharing an iPhone photo on Instagram. Zero photos of Eva or her wedding dress have surfaced, but the other Atlanta ladies shared a bunch of great pics. 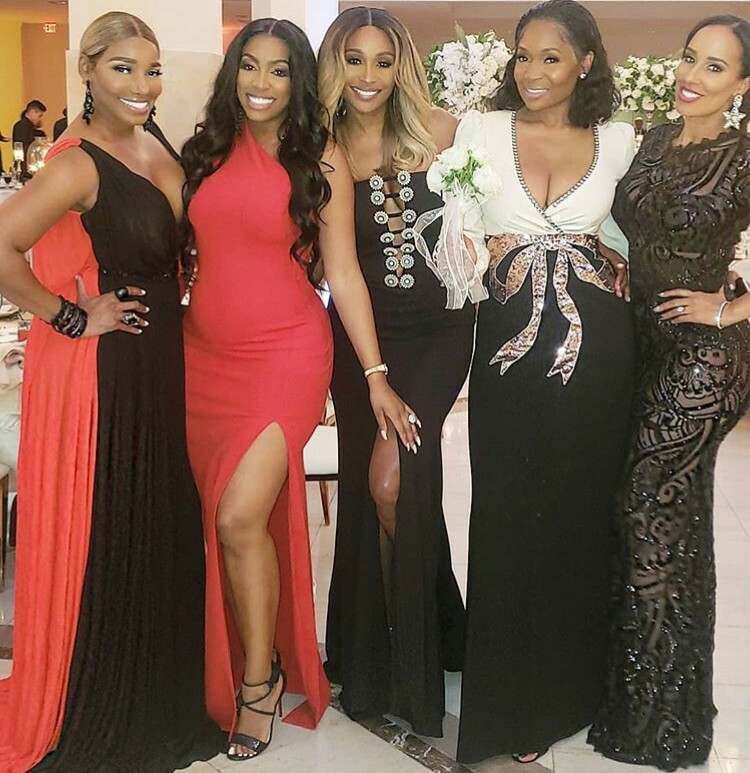 It seemed like the ladies coordinated their outfits with all of them rocking black and/or red gowns- very Real Housewives of Atlanta reunion of them to make sure their dresses looked great together on camera. Porsha Williams had her baby bump on full display with her fiance Dennis McKinley by her side. Cynthia Bailey and her new man Mike Hill were in attendance. Kandi Burruss and her husband Todd Tucker celebrated Eva and Michael’s big day. NeNe Leakes went to the event solo. Marlo Hampton and the new girls Tanya Sam and Shamari DeVoe were also there for the wedding. Check out some the pictures that have surfaced from Eva’s wedding by clicking through the photo gallery below. RELATED: Eva Marcille Is Married! TELL US- WHAT DO YOU THINK OF THE PHOTOS FROM EVA’S WEDDING? WHOSE OUTFIT WAS YOUR FAVORITE? DO YOU WANT TO SEE EVA’S WEDDING ON REAL HOUSEWIVES OF ATLANTA NEXT SEASON?